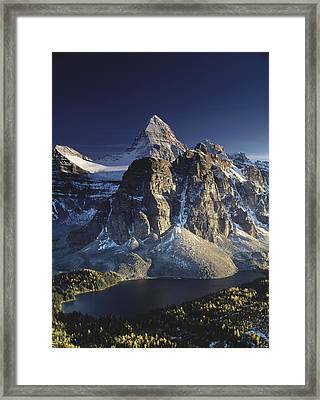 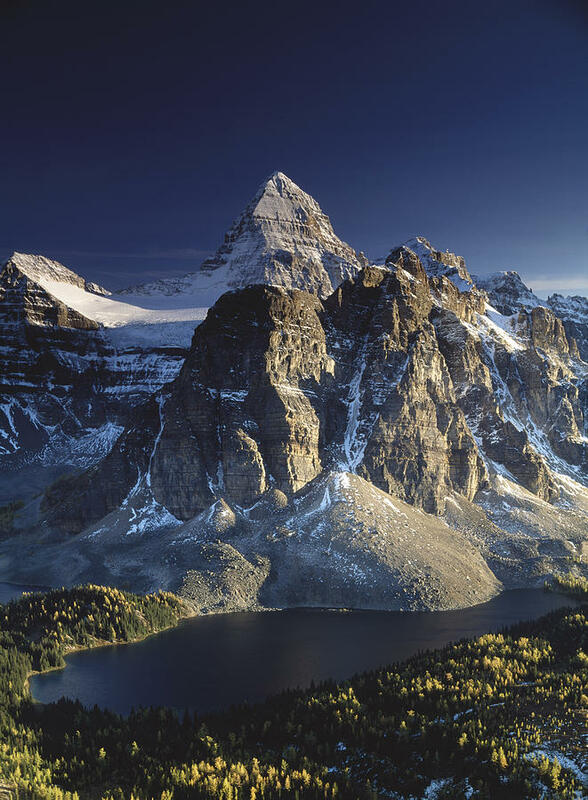 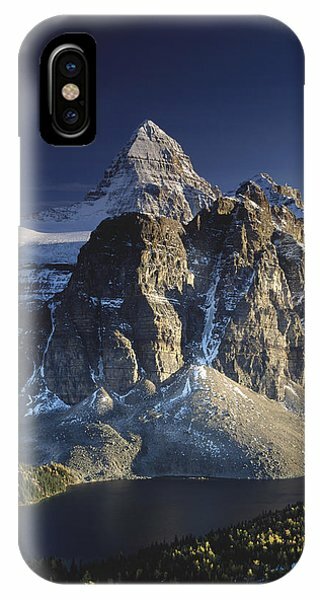 Mount Assiniboine And Sunburst Lake is a photograph by Richard Berry which was uploaded on November 28th, 2014. 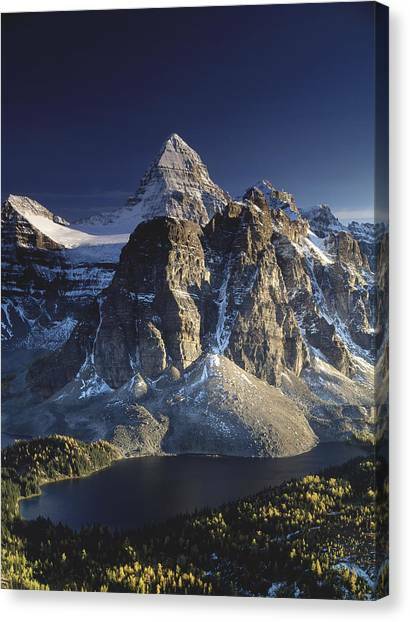 The lake in the foreground is not Sunburst Lake, but Cerulean Lake! In left-foreground you can see a small part of Sunburst Lake. In left-background is seen a part of Magog Mount.